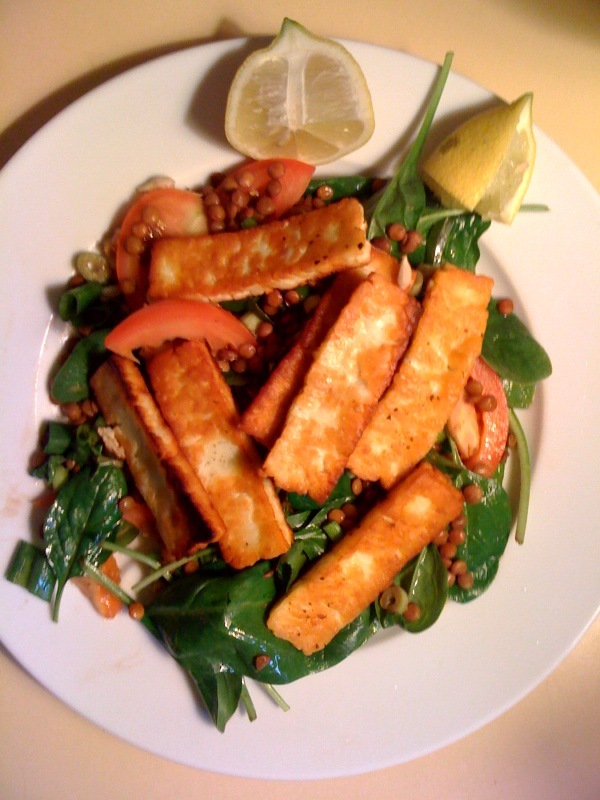 I don’t think my photography’s getting any better, but here’s another dinner: haloumi and lentil salad. Yum! I will try to post up some thoughts on what I’m writing about (and what’s got me thinking even more closely about what I’m eating), once I’ve sorted them out in my own head. At this point I’m doing a lot of reading, watching and cooking. For some vague idea of what I’m working on, have a look at this TED video. I have been on TED all day. All. Day. I’m obsessed. This can’t be good. thanks for the blog comment, my lovely. there’ll be a new poem each day until friday! It’s addictive, isn’t it? My housemate also watches, so he’ll often direct me to a new video.